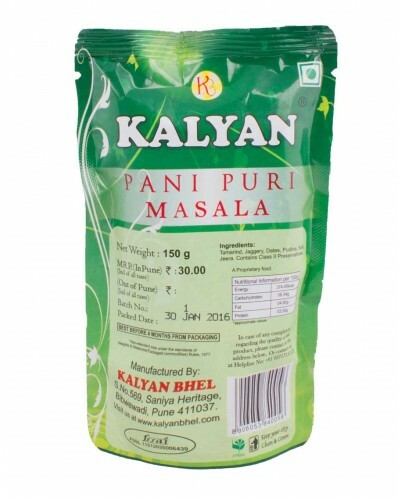 Kalyan Bhel House is a renowned chaat and snack house. Operating since the last 30 years in Pune. Shelf life of this product is 4 Months. Kalyan Bhel House is a renowned chaat and snack house operating since the last 30 years in Pune. The founder Mr.Rameshbhau commenced this esteemed snack house as a street vendor and as they say fortune favors the brave, Mr.Rameshbhau in a short span of time expanded this chaat and snack house business from a street vendor to acquiring 7-8 snack places in and around Pune and many more coming up soon. The goal is to satisfy the hunger of chaat and snack lover’s and having loyal customers all year around. Our esteemed customers visit us from all walks of life and we customize our chaats and snacks as per their requirements. We also cater to party orders, weddings or any other functions. Kalyan Bhel House is a renowned chaat and snack house operating since the last 30 years in Pune. The founder Mr.Rameshbhau commenced this esteemed snack house as a street vendor and as they say fortune favors the brave, Mr.Rameshbhau in a short span of time expanded this chaat and snack house business from a street vendor to acquiring 7-8 snack places in and around Pune and many more coming up soon. The goal is to satisfy the hunger of chaat and snack lover’s and having loyal customers all year around. Our esteemed customers visit us from all walks of life and we customize our chaats and snacks as per their requirements. We also cater to party orders, weddings or any other functions. With this readymade masala, Pani Puri can be easily made within minutes. 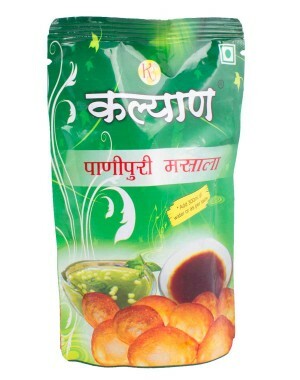 Enjoy the magic of the street food at home with this ready made pani puri masala. Pani puri is eaten during mostly between meals as a snack or can even be included in a chaat theme party.